That bizarre first trailer didn’t really whet the appetite. An old-fashioned murder mystery repackaged from the blockbuster set. Works despite itself. The philosophical undercurrents help this to go down smoothly. The potency of Agatha Christie’s 1934 novel shines through the glossy, high-camp screen adaptation. There’s an episode of the BBC sitcom Blackadder in which Tony Robinson’s Baldrick devises a cabaret act where he offers his interpretation of Charlie Chaplin. He achieves this effect by balancing a little dead slug on his top lip. Said slug reappears on the chin of Kenneth Branagh in Murder on the Orient Express, the anchor point for some of the most ostentatious facial furniture to ever be projected on to white canvas. 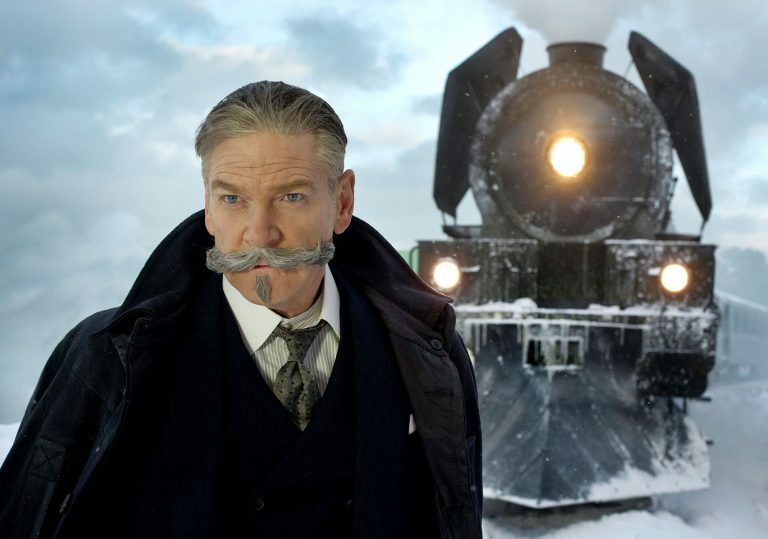 As the self-styled “greatest detective in the world”, Branagh plays Hercule Poirot as a kind of fancy-pants carnival barker stationed outside a central London tourist attraction – a slick superhero who is lightyears away from the more demure version offered by British actor David Suchet. He is catty and outspoken, to the point where he’s not an entirely sympathetic or even relatable character. And he is given no equal in the film, someone with whom he can spar on his own level. His conspicuous superiority often grates. The film gives a new lick of CG paint to Agatha Christie’s 1934 whodunit and it plays like over-lit provincial dinner theatre, which isn’t always a bad thing. It begins with Poirot being requisitioned to take on a case which involves him high tailing it across Asia and Europe in luxuriant style aboard the art deco sleeper, the Orient Express. His plan is to kick back, chortle while leafing through some Dickens and catch a bit of much-needed R and R. Yet from the very moment he boards the train, something is amiss. He is a detective who is preternaturally geared towards spotting imbalance, particularly when it comes to the scales of justice. The next few days provide him with a most fiendish test of intellectual mettle. The giant ensemble is filled out with the likes of Judi Dench, Willem Dafoe, Penélope Cruz, Daisy Ridley and Jonny Depp, the latter being the the evil art dealer who gets offed in his bunk during the night. When it comes to the process of deduction and locating obscure clues, Poirot is so good that his success is less a matter of ‘will he / won’t he?’ and more, ‘how soon will he nail the sucker?’ It’s glossy and snappy, but lacks for any kind of drama or gravitas. The arch tone imbues the action with the feel of a family board game, where we chase around a colourful board on a boringly predetermined path. Still, the power of the source material eventually shines through, and Branagh, along with screenwriter Michael Green, makes certain that the philosophical brainteaser lodged within the material is more visible than the superficial pleasure of a master thief catcher closing the net. In fact, the procedural element to the film eventually takes a back seat to broader questions involving the limits of the law, the morality of murder and the notion that there can be no system devised which accounts for the chaotic and wily impulses of man. Some might read the film as a celebration of vigilante justice, or even a robust case for the death penalty. 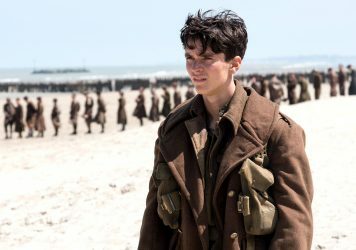 The film essentially poses the question: if you had a time machine, would you go back and kill baby Hitler? Within Branagh’s personal canon as a director, this lacks the passion of his Shakespeare adaptations and the energy of his surprising foray into Marvel and Disney movies. He and cinematographer Haris Zambarloukos fall to the challenge of milking the claustrophobic nature of train travel, often resorting to long, dull bird’s eye view shots of characters muttering exposition to one another in the cabins and hallways. Perhaps the key precedent here is Branagh’s disastrous adaptation of Harold Pinter’s Sleuth from 2007, though this certainly passes the time in much more civilised fashion. 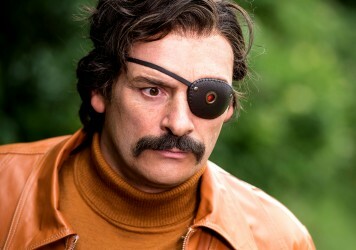 Julian Barratt gives the finest comedy performance of his career in this hilarious caper. 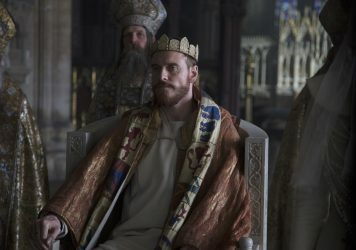 A vital reimagining of ʻThe Scottish Play’ with stellar turns from Michael Fassbender and Marion Cotillard.